This article appeared January 15, 2003 in the San Bernardino Edition of The Press-Enterprise. It has not appeared as yet on the Press-Enterprise web site. We feel that this article is of critical importance! We know part of it is difficult to read but wanted to get this to you as soon as we could. PLEASE be patient while loading! Humans can be a vector for END. 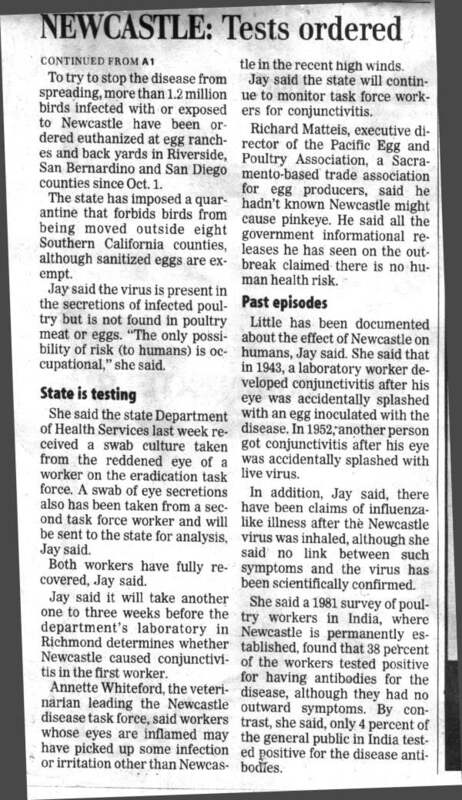 It is not known if these workers were/are still working with birds while they may be CONTAGIOUS and spreading END! 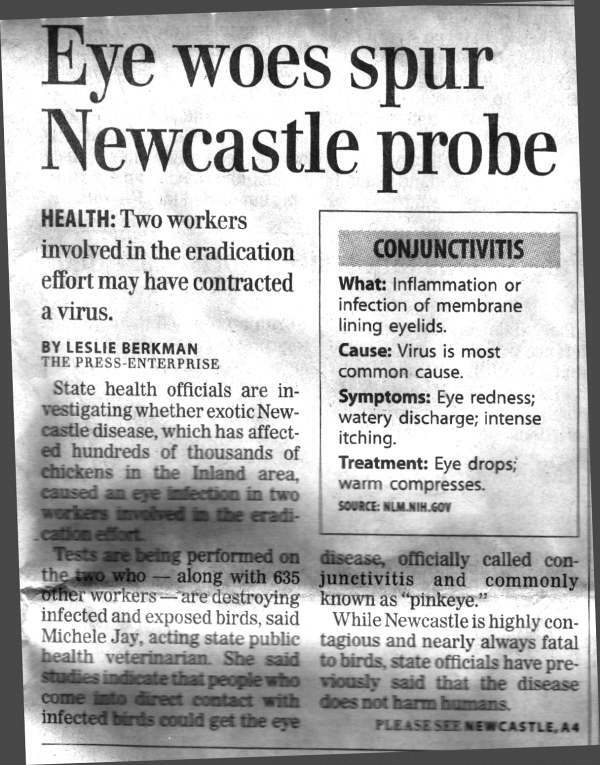 2 - Humans can be infected with Newcastle disease virus, with headache, flu-like symptoms and mild conjunctivitis (4-7 days) rarely becoming severe or leading to visual impairment. Usually symptoms are confined to painful conjunctivitis lasting a few days, but fever and influenza-like symptoms for up to 3 weeks may follow. Most infections are in laboratory personnel. (LINK) The question of how contagious humans are during this period and for how long is one that needs more research.